Hey folks, our names are Maurice (aka Shnookie, aka Moz) and Charlie (aka Charlie-Charles). We are a pair of furry flatmates who are on the hunt for our new abode. Maurice is confident, and has an incredible knack for knowing when food is being made, anywhere in the house. He will dash down the hallway with amazing speed and agility unlike anything you’ve ever seen! He is also a polite gentleman and will meow ‘goodbye’ to foster mum when she leaves for work in the morning. What more could you ask for?! Charlie is a little shyer, but loves playing and sometimes will roll over and show you his belly. Don’t miss your opportunity for that elusive belly rub! He is also a bit of a smarty pants and responds to his name, or his nickname of ‘Charlie-Charles’, or even whenever you say ‘what’s this?’ Charlie is even multi-lingual – he is fluent in Australian and South African meow. Plus, his superpower is being the loudest purrer ever. We’re pretty good with other kitties, but Charlie sometimes gets into a bit of trouble with foster mum’s grumpy lady cat (but hey, who doesn’t!). We haven’t lived with dogs or kids before, so a gentle introduction is a must. Oh, and if you have a secure outdoor cat enclosure, we’ll be in heaven! Foster mum says that we have both come so far in foster care. 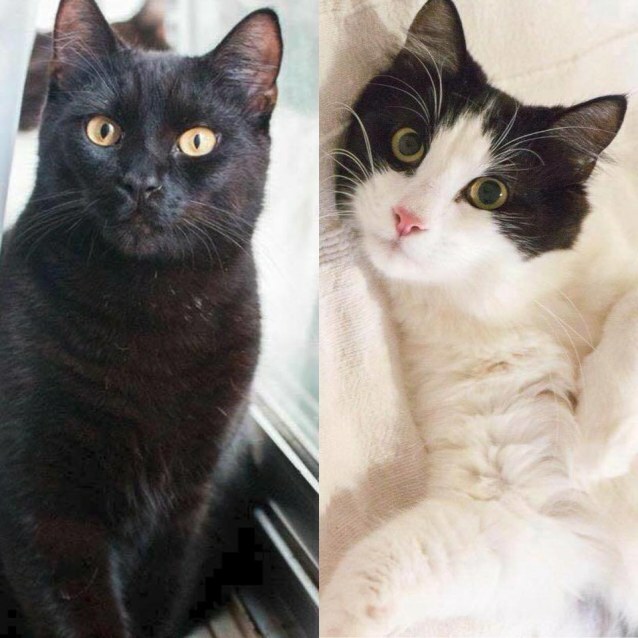 At first, we were undomesticated kitties but we can now be picked up for gentle pats, and will absolutely blossom with the focused love and attention of a forever home. We are a bit sad because we were adopted out but returned after a few months. We hope that our new hooman understands that we will need patience and love, and in return we will be the best furry housemates you’ve ever had!